Listen to a new Warriors tribute called "Champion" from Kehlani, Iamsu!, G-Eazy, and Lil B. 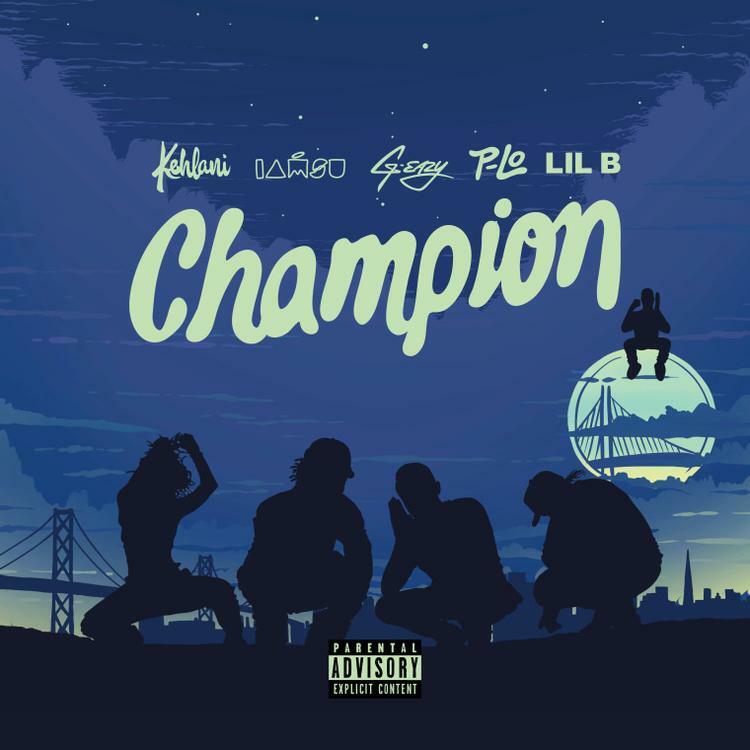 To celebrate the Golden State Warriors winning the NBA Championship this year, Bay Area’s very own Kehlani, Iamsu!, G-Eazy, and Lil B decided to unite for this appropriately titled tribute track called “Champion”. Produced by HBK Gang’s own P-Lo, listen as each respective artist put on for their Bay Area and reference several players from the NBA’s best team, including the obvious Curry & Klay Thompson name drops of course. Take a listen and let us know who had the best verse?